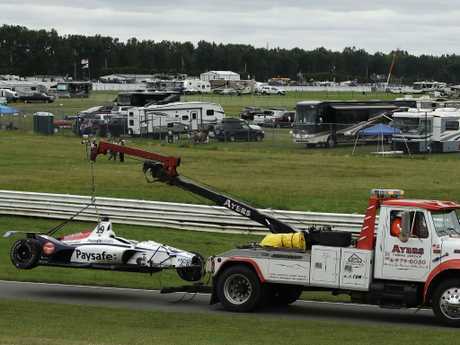 AUSTRALIA'S Will Power has finished second behind Alexander Rossi at Pocono Raceway in a race marred by a violent crash that sent IndyCar rookie driver Robert Wickens to the hospital. Wickens, 29, was attempting to pass Ryan Hunter-Reay when the two cars slightly touched exiting turn two just six laps into the race. It resulted in Wickens' car soaring over Hunter-Reay's and into the fence, spinning round and round like a top, before the tub came to a rest on the track along an interior wall. 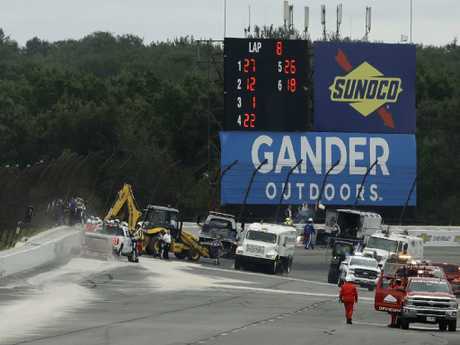 Wickens was airlifted to a hospital with what IndyCar called "orthopaedic injuries" and the race was stopped for nearly two hours to repair 25m of fencing. 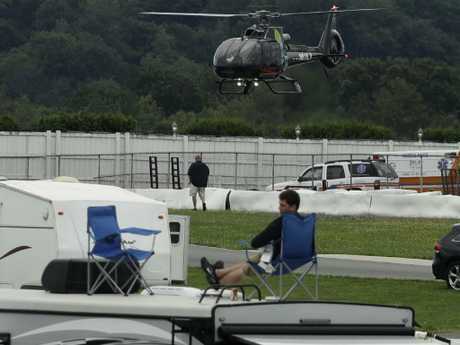 IndyCar officials said Wickens was awake and alert as he was airlifted from the track to the hospital and he was still being evaluated. "It is just terrible, but I am so glad he is awake and alert. He is OK as far as that goes," Power said. "You know he is going to have some injuries but so glad everyone is fine." Rossi was as worried as the rest of the field when Wicken's Honda was sent airborne. "It's part of our job, right? You've got to compartmentalise," Rossi said. "You've got to accept it and deal with that emotion after the race." Fittipaldi wasn't involved in the initial collision but was right behind the others in a tight pack and ran headlong into smoke and debris. "I am a little sore," said Fittipaldi, who was knocked out of the race. "I saw all the smoke ahead. When I saw I was going to hit Hinch head on I had to slam the breaks and get low. 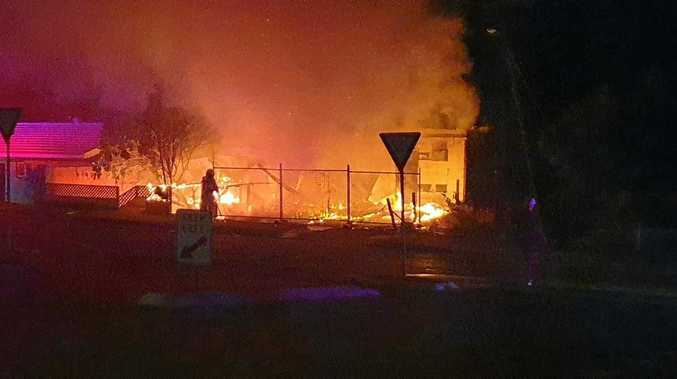 "When I did that, with the debris, I lost the car and hit him sideways. "I talked to Hinch and Sato, there was so much debris and fluid on the track. I was just trying to slow down and get down. I lost it. It is what it is." He dominated and led 180 of 200 laps to win his second straight race and third of the season, slicing into Scott Dixon's grip on the championship lead with three races left in the season. New Zealander Dixon finished third and his points lead over Rossi was cut to just 29 points. "We've been a bit blah. They've been excelling," Dixon said. Power was aiming for a third successive victory at Pocono and made a hard charge down the stretch, his second placing keeping him fourth in the standings. "It's tough to really celebrate after what happened," he said. Dixon echoed the thoughts of the rest of the paddock when he said IndyCar was a "close-knit family" and he was thinking of Wickens. "That's the worst thing you can see. He's hurt. He's awake and alert and at least he's alive," Sebastien Bourdais, who finished fourth, said. The Frenchman raised concerns about the quality of the repairs and condition of the fence and did not want to get back in the car. Track President Ben May said: "It may not be the prettiest job but it's going to be safe." Bourdais called the repairs "pretty lousy".